Like many people who own either residential or commercial property, you’re probably constantly concerned with building security. Without the right security features and plans in place, it is possible to sustain a significant amount of loss. It is important to note that all of the best plans for securing a unit are multi-layered. This way, if one element should ever happen to fail, there will be additional strategies in place that are still providing a reliable level of protection. Following are several reasons why window security locks are a critical addition to these plans. To start, windows are considered to be among the most appealing forms of ingress for those who do not have authorized access to a building. This is because they are among the most accessible. This is especially true of back windows that are out of the line of public site and that may not be locked tightly at all hours of the night or day. As such, it is via these entry points that many forms of unauthorized entry occur. Another important thing to note about these entry points is that people frequently overlook them when locking up. 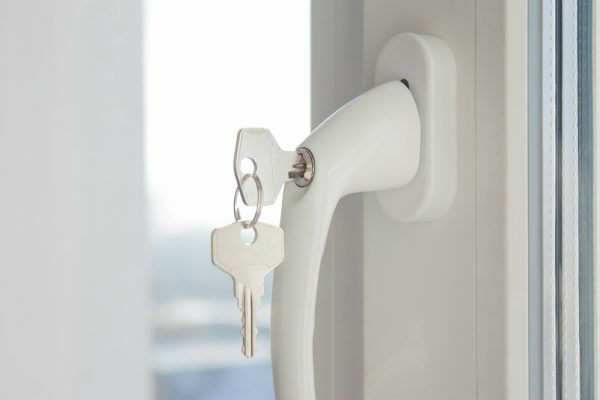 Most consumers are diligent to lock doors after themselves when leaving or arriving, but they tend to be a lot less vigilant about their windows. Thus, a thief or vandal may be able to spy an accessible entry out by simply checking to see whether or not these features have been properly secured after everyone has left. The best security locks for these features tend to be self-locking mechanisms. This means that whenever windows are placed in a closed position, their locks will automatically engage. This type of setup eliminates the potential for human oversight or error. It is much easier for people to identify windows that have been left in an open position than it is to identify windows with locks that aren’t engaged. Keep in mind that additions like these can also make your insurance company willing to reward you more generously for your overall security plan. This is all the more true if windows have been a preferred entry point for break-ins in the past. Once you have installed these features, you may be able to get a significant discount on your monthly or yearly premiums. Advanced locking technologies exist that provide an additional layer of convenience and protection. In some instances, these are appliances that can be seamlessly integrated with other smart home technologies. Thus, if you ever forget to engage locks ahead of leaving your office building or home, you will have the opportunity to engage these remotely. You should never underestimate the value of having visible measures in place for protecting your building. These are additions that people can easily see upon approaching your windowed areas. Once they know that you have taken the time and effort to provide this extra layer of protection, they will be a lot less likely to target your facility for either theft or vandalism. One of the most important things to remember about these features is that they are not a foolproof method of protecting a property as standalone agents. It is far better to have these as part of a strategic and seamlessly integrated plan. This is a great way to supplement the protection that you are already getting from floodlights in parking areas, security cameras, digital keypads at entries and other features that exist to keep your property and all of its residents safe and secure.